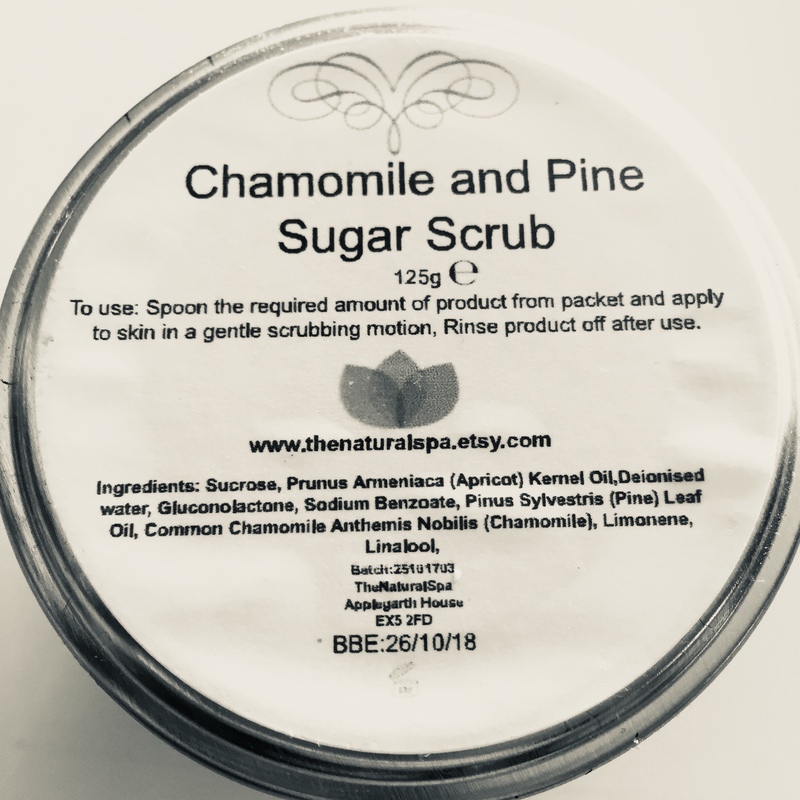 You can find these vegan skincare products in various places in Devon and Somerset like The Emporium in Wellington, Raga Raga in Dawlish, Knight Farm Shop and Fillfull in Ottery St Mary near Exeter. 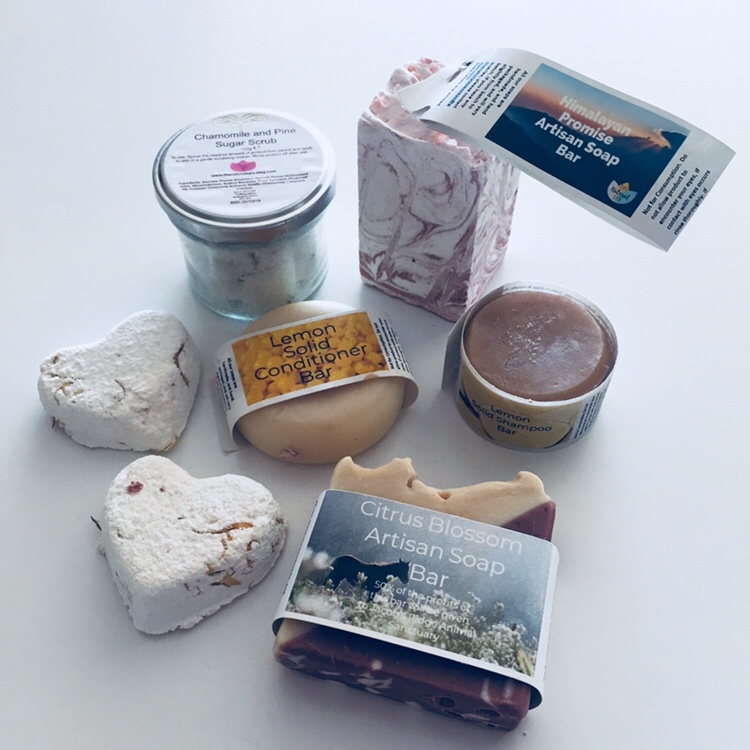 You can also find Zoe at vegan events like Exeter Vegan Market and she sells her beautiful ‘handmade in Devon’ creations online on Etsy too so wherever you are they could easily find their way to you! 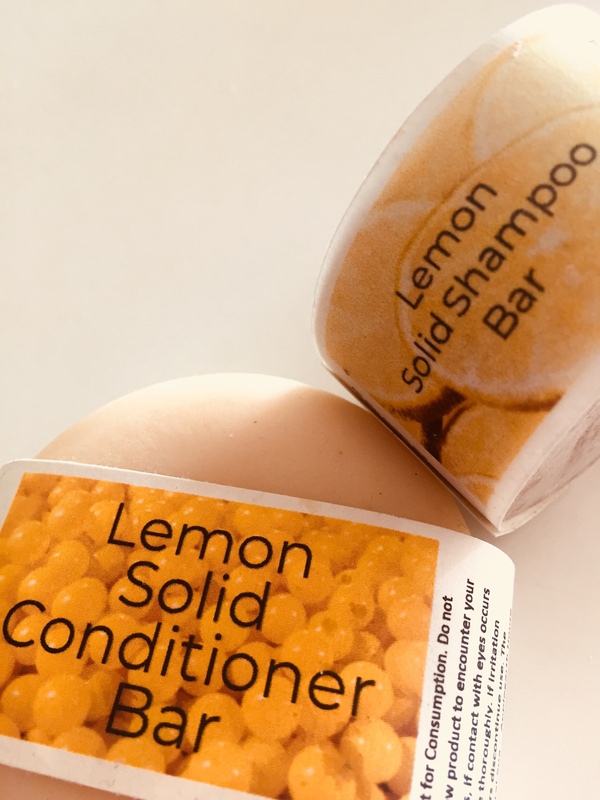 We tried a lemon solid shampoo and conditioner, great for anyone wanting to cut down on their plastic consumption. 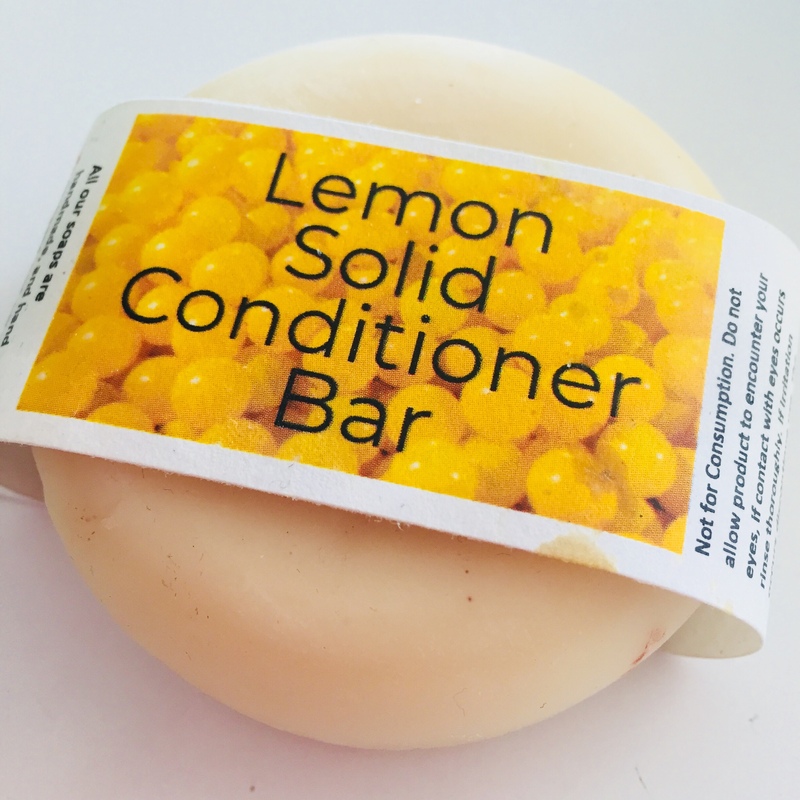 I’ve got quite long hair and surprisingly they weren’t a hassle to use and the conditioner left my hair soft and manageable. 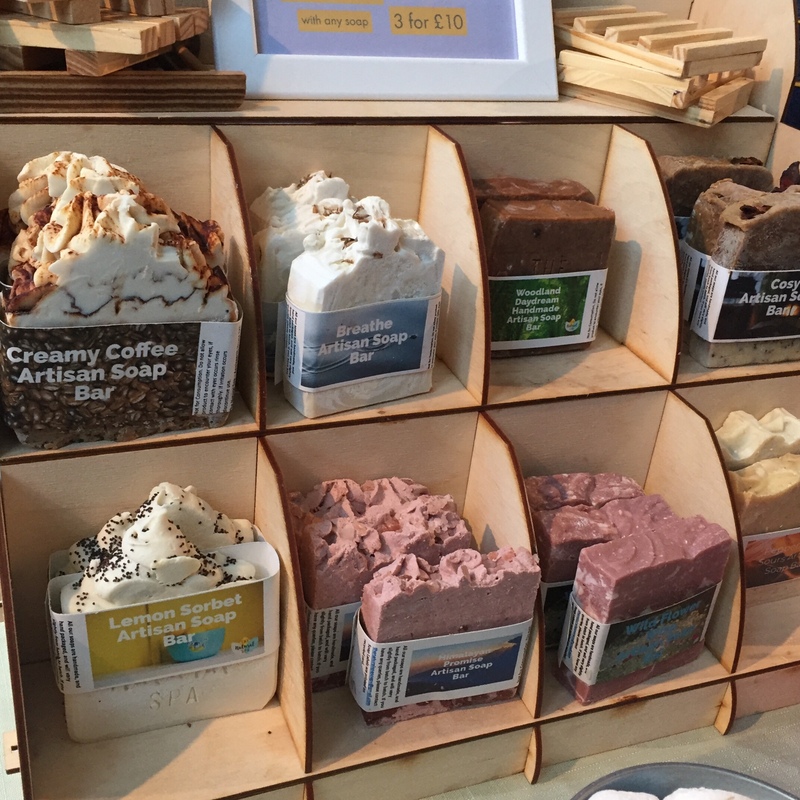 The soaps we sampled were lovely and creamy and left our skin soft and moisturised. 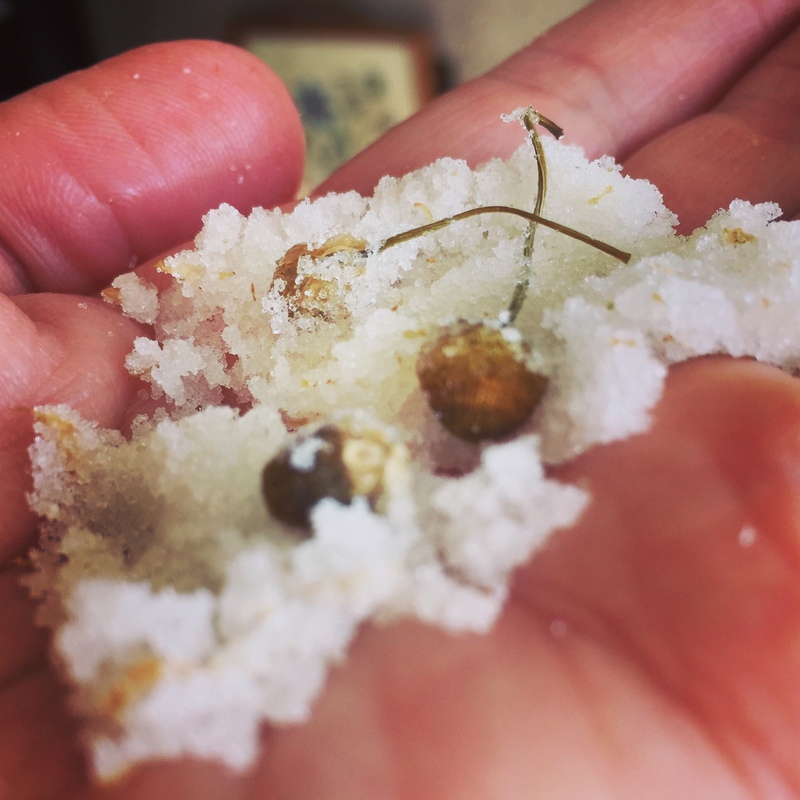 The Chamomile & Pine Sugar Scrub smells amazing and is a real treat. So why not treat yourself or a loved one today! 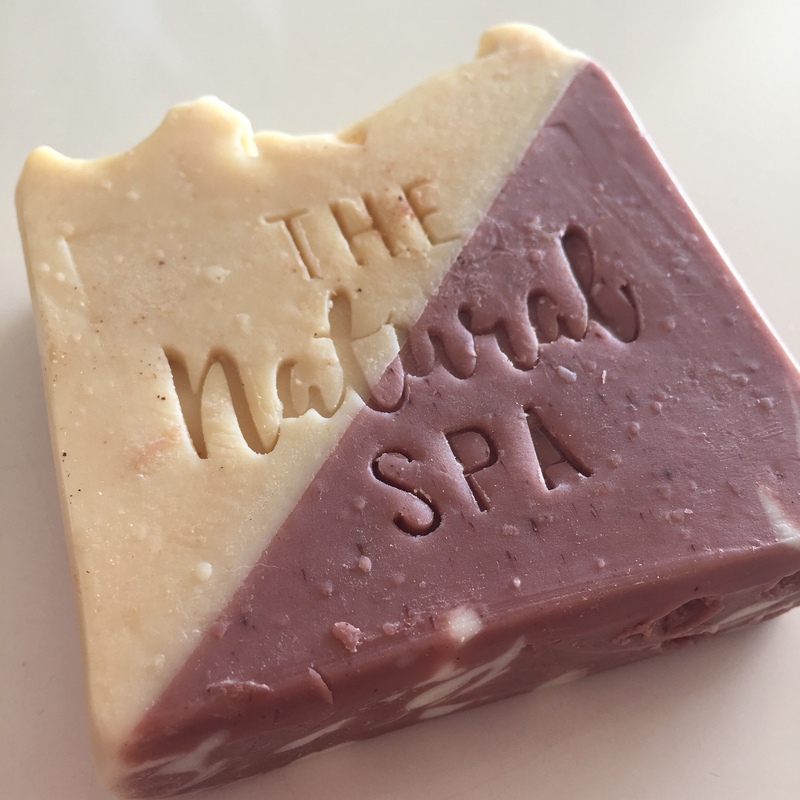 We have a discount code for you to use in The Natural Spa Etsy shop. Simply enter SSV15 to get 15% off your whole shop (no minimum spend). 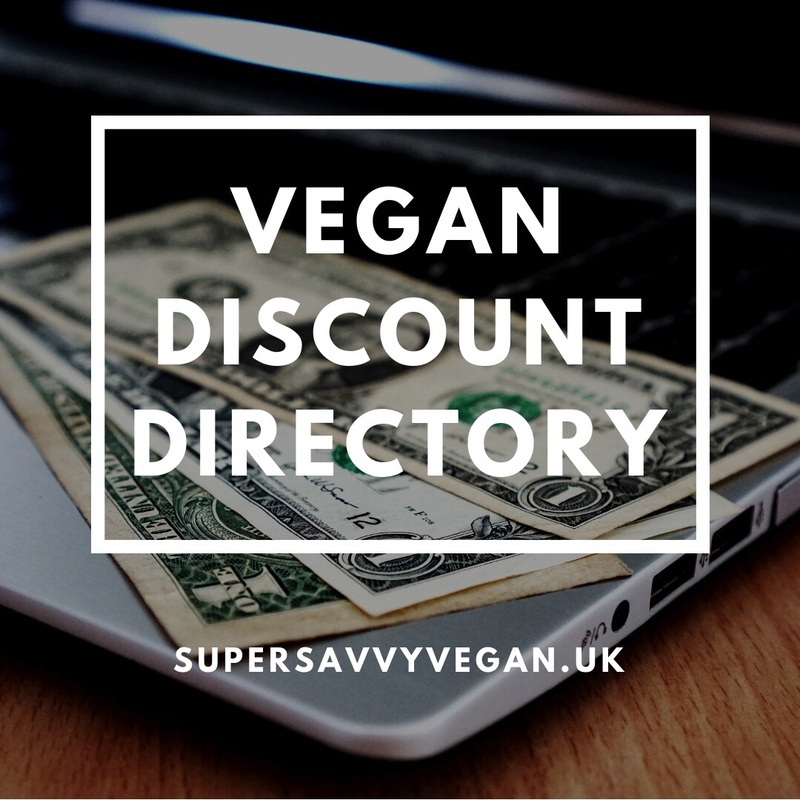 Don’t miss yet MORE vegan bargains and plant based discounts in our Vegan Discount Directory. 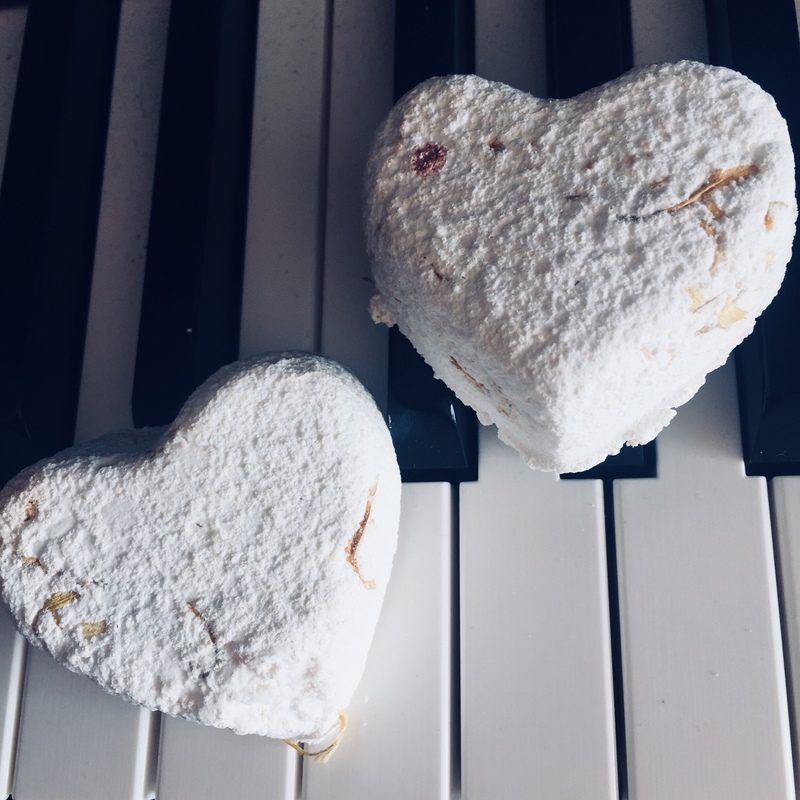 Please do get in touch if you’d like me to review your vegan goodies & here’s my disclaimer bit – we received these treats in return for this review but we must stress these opinions are 100% our own. We actually turn down offers for products we would not be happy to recommend to you our lovely followers! 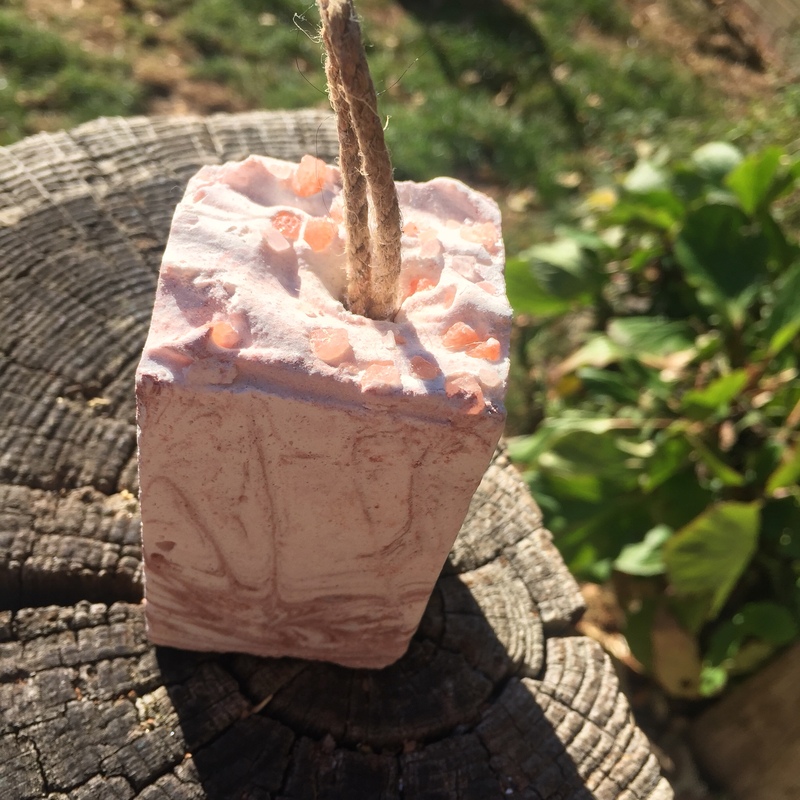 Thank you for sharing and great to hear your thoughts on the product !!! It was my pleasure Zoe. All the best with your growing business.